As some of you may already know, I’m currently working on my first iOS app and I hope to have it available in the next few months. This has been a whole adventure in its own right, but in the meantime I wanted to get some experience with the bureaucracy side of the App Store. To that end, I made a sticker pack for iMessage! Now I am no artist, but I did find a specific sticker pack that I could make that would actually serve a need. 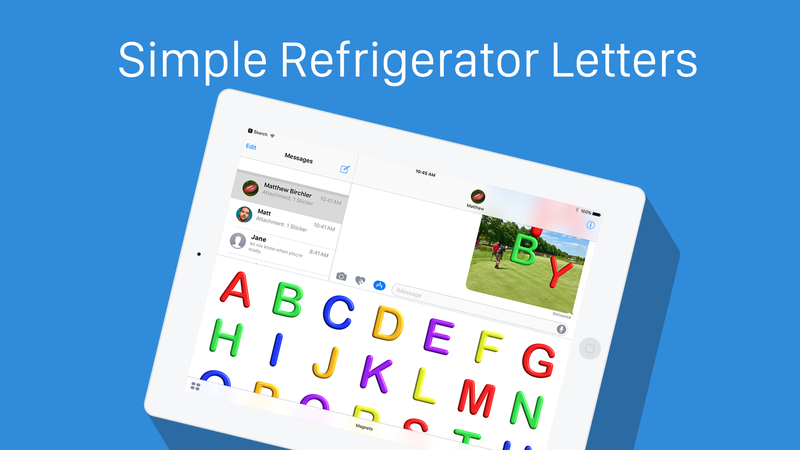 To that end, I’ve released Simple Refrigerator Magnets to the App Store. It’s a pretty simple sticker pack, and it’s aimed mostly at kids, but I won’t stop you from getting your letter magnet nostalgia trip with them if that’s your thing.